By Craig | November 20, 2018 | This post may contain affiliate links, which means we may receive a small commission, at no cost to you, if you make a purchase through a link. Read our Disclosure. Ask us what our favourite way is to explore a destination and more often than not we’ll say by walking. Whether it’s finding a hidden beach or backstreet cafe or hiking to the top of a hill, you can experience more things just by wandering around. 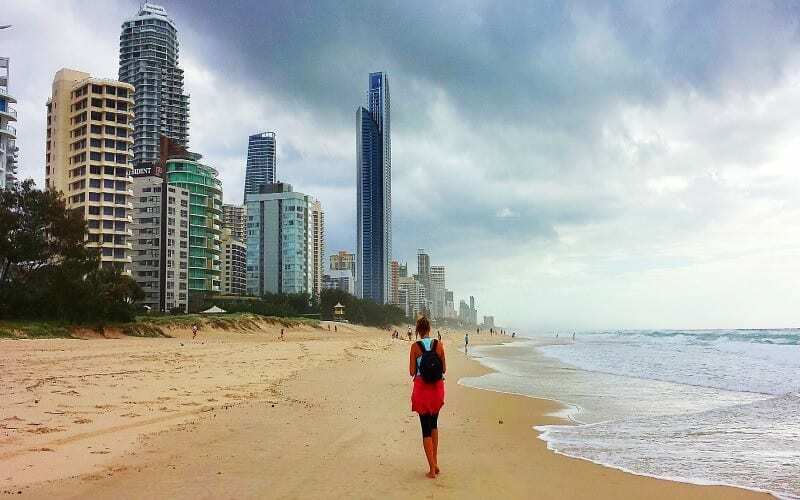 The Gold Coast is no different and there are many Gold Coast walks for you to choose from. Get up at 6 am on the Goldy and it feels like midday with everyone out walking, cycling, and surfing. You can’t help but get caught up in the energy of the place. And the great thing about taking a bush walk is it’s FREE and you’re seeing things at a slower pace, which means you’ll take more in and appreciate an area more. 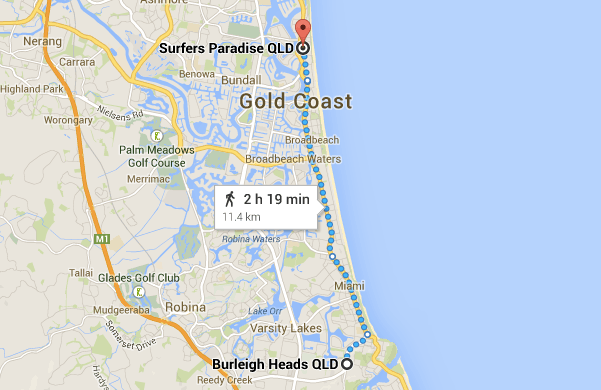 The Gold Coast is so great for walking we live here and don’t own a car. You’re not sitting in traffic or rushing around on public transport, instead, you’re soaking up the local landscapes and walking off the overindulgence of eating on your holiday. 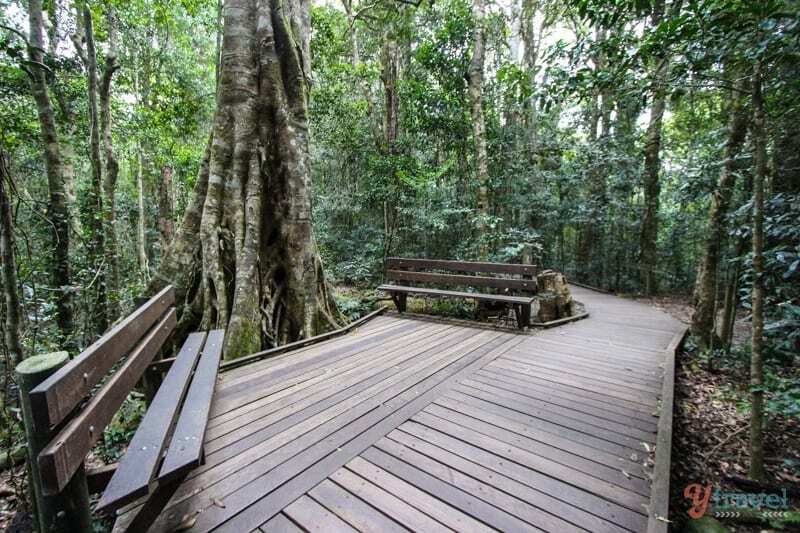 So once you’re done with the theme parks and laying on the beach, get active and get beyond the concrete skyline and choose one of the many fantastic bush walks, Gold Coast. 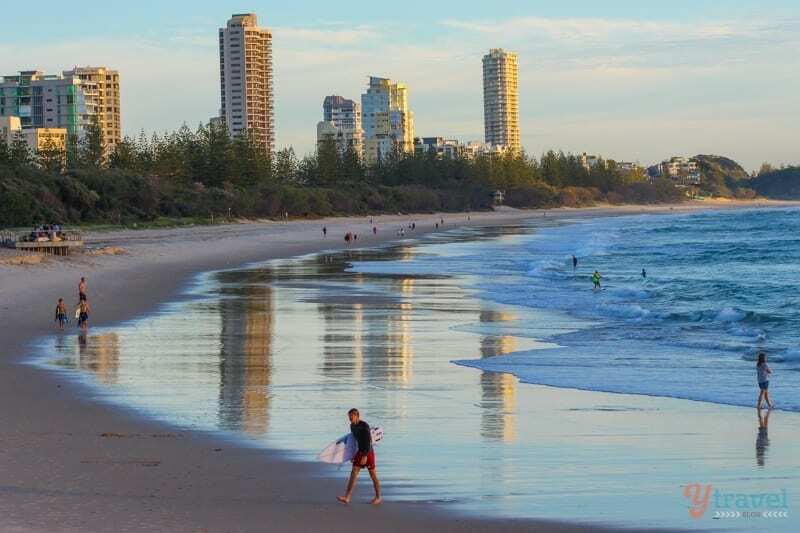 Want more tips for the Gold Coast? 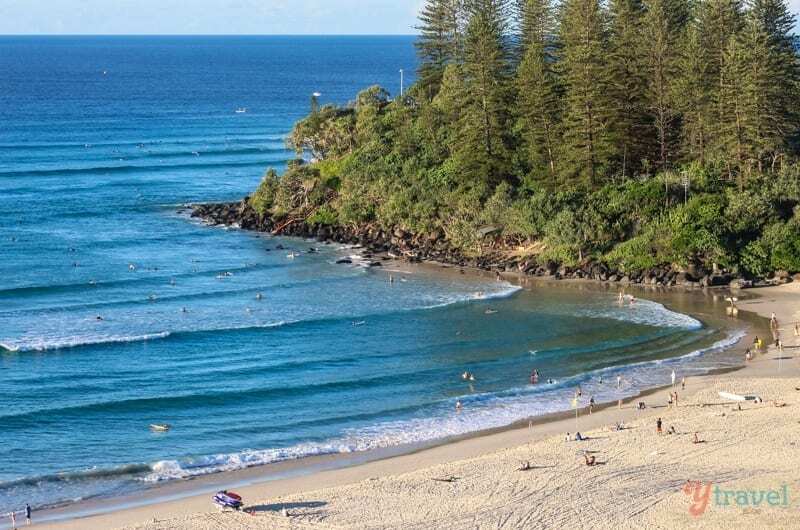 Burleigh Heads is one of our favorite spots on the Gold Coast, but for reasons I can’t answer, we’d never ventured into Burleigh Heads National Park before. 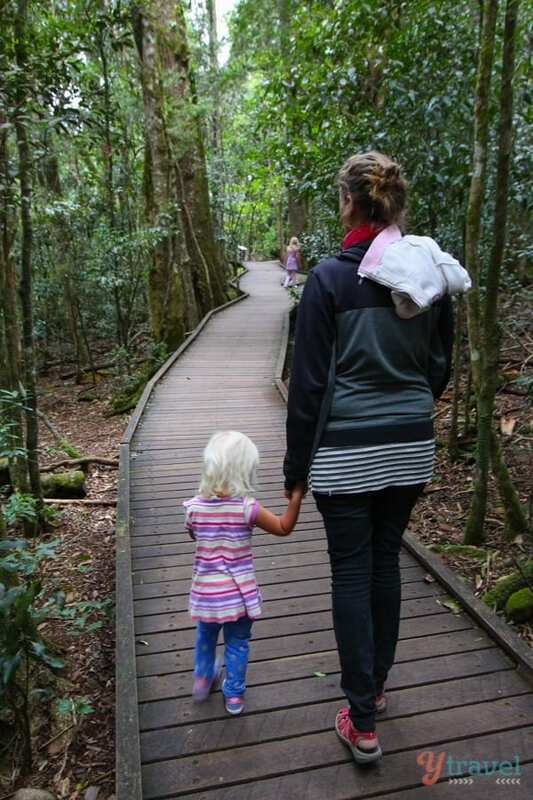 We’ve been recommended this walk many times as one of the best and most popular walks on the Goldy. Finally, we’ve done it. We suggest getting up early for this walk. 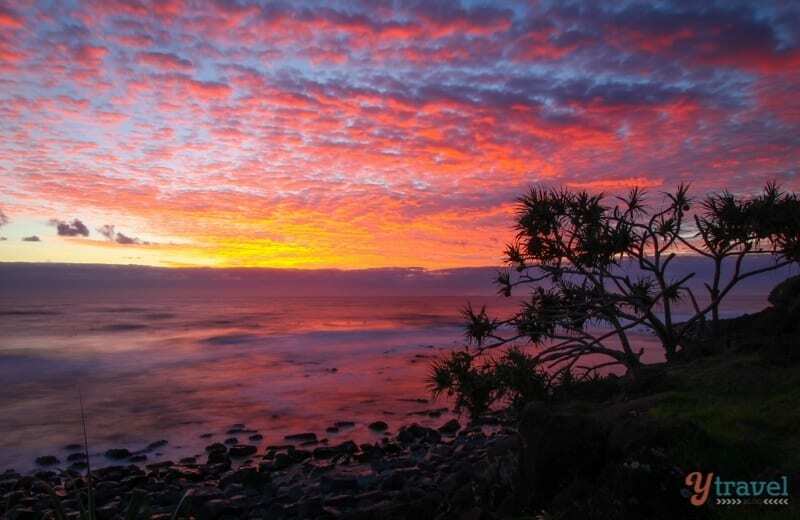 Grab a takeaway coffee from Nook Espresso then head to the point and catch the magnificent sunrise whilst watching the surfers at one of Australia’s most famous point breaks. After the sun has risen and you’ve had your coffee fix and been inspired by the surfers, head off on the ocean view walk around the rocky headland. It’s a beautiful start to the walk as you round the bend getting awesome ocean views combined with walking through eucalypt forest. 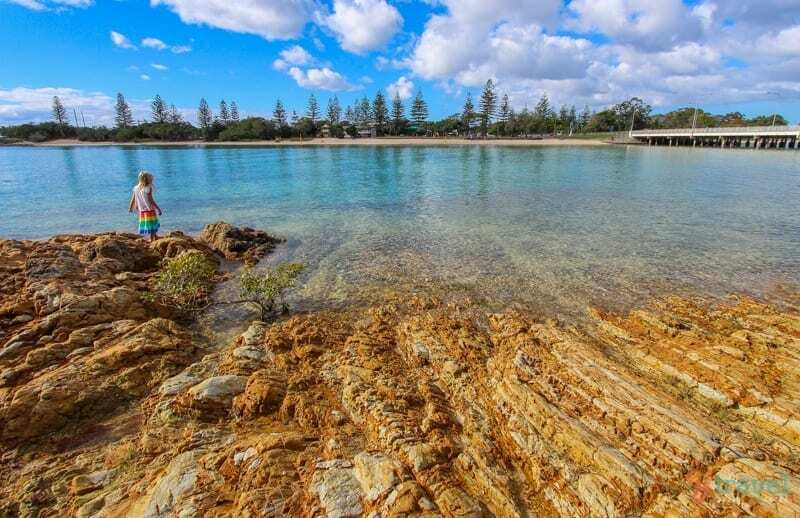 After you round the Burleigh headland, you’ll come upon what must be one of the Gold Coast’s hidden gems, Tallebudgera Creek. I’m sure only the locals, or those in the know, spend time at this Talle. We stopped at secluded Echo Beach whilst the kids played in the sand and climbed on the rocks, and watched a few kayaks and paddle boarders cruise down picturesque Tallebudgera Creek. 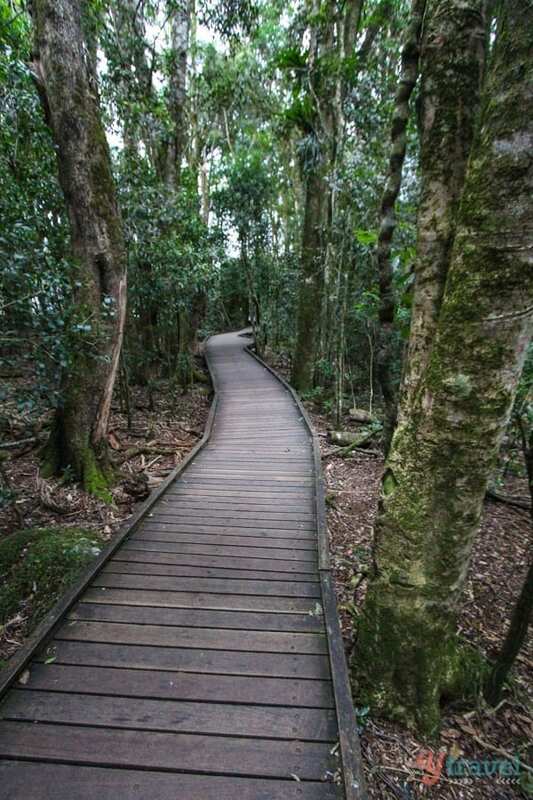 When you finally drag yourself away from here head uphill and begin the rainforest walk which loops you back to the starting point at Burleigh. About half-way back you’ll come to Tumgun Lookout which offers awesome views back over Tallebudgera Creek and Palm Beach off in the distance. 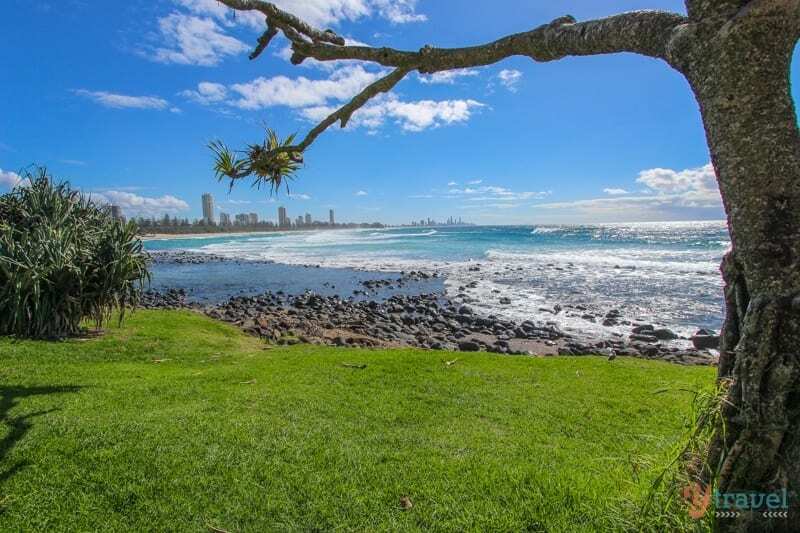 It’s pretty much downhill from here and once you get back to the Burleigh foreshore grab a seat on the grass with a drink, or maybe even a picnic, and enjoy the view of Burleigh Beach. The coastal walk combined with part of the rainforest circuit is about 2.5 km all up. It’s not difficult as both of our young kids walked most of the way, just keep an eye on your young ones on the ocean part of it. 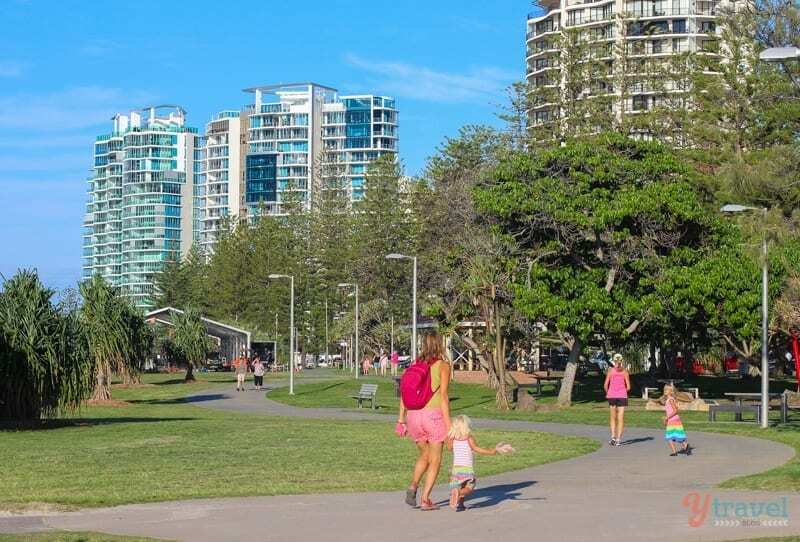 Check out Bujerum Apartments right on Burleigh Beach and our favourite place to stay on the Gold Coast. 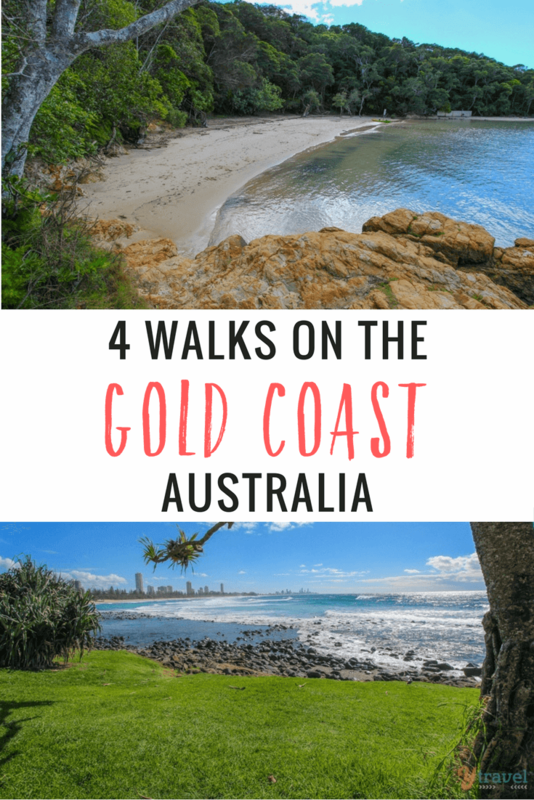 This is a great little Gold Coast walk we did over and over again whilst staying in Coolangatta for 5 days. If you only do it once, we suggest saving it for late afternoon as the sunset views you get at the end are magical, as you’ll see in a moment. This walk may not take you long, it’s about 2 km in total, but that really depends on how often you stop as the scenery along the way will have you reaching for your camera at every outlook. 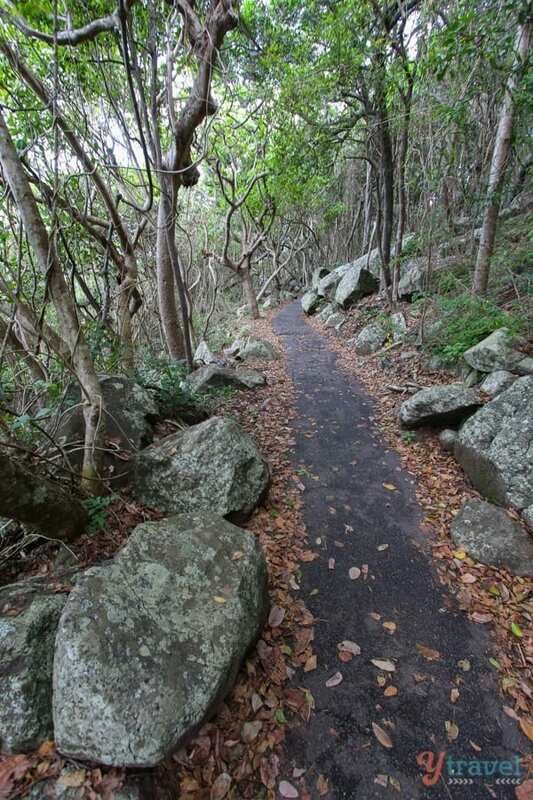 Start this walk on the path that runs parallel to Coolangatta Beach and head towards Greenmount Beach. If you desire, grab a coffee from the Go with the Flo Cafe at Greenmount surf club then start heading around the Greenmount headland. 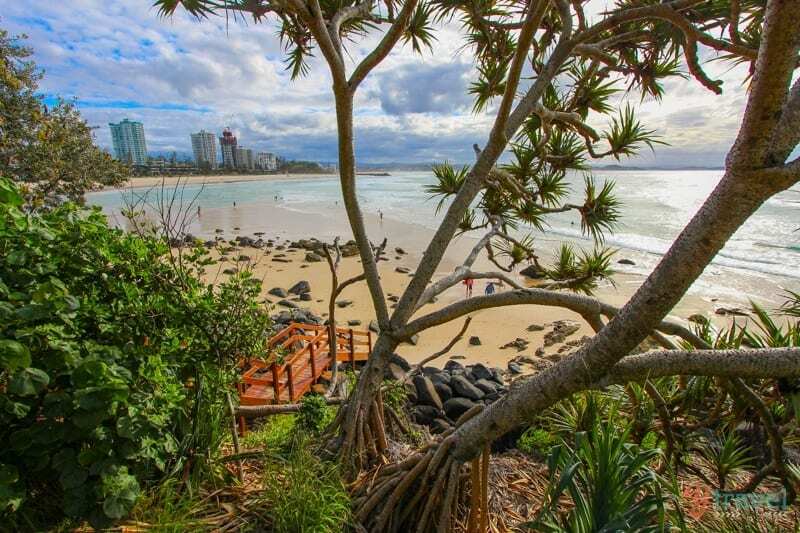 Greenmount Beach is our little piece of paradise on the Gold Coast, family friendly for a swim and from the pathway you get a nice view back over Coolangatta. 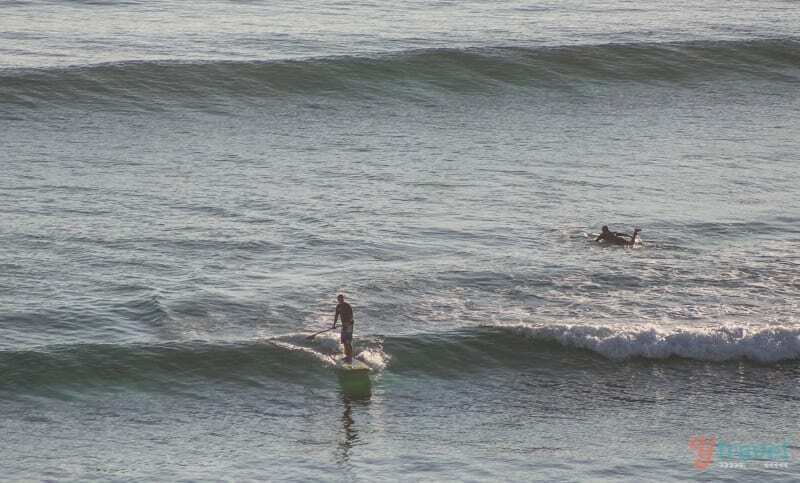 The point is also a popular surfing spot for the locals. 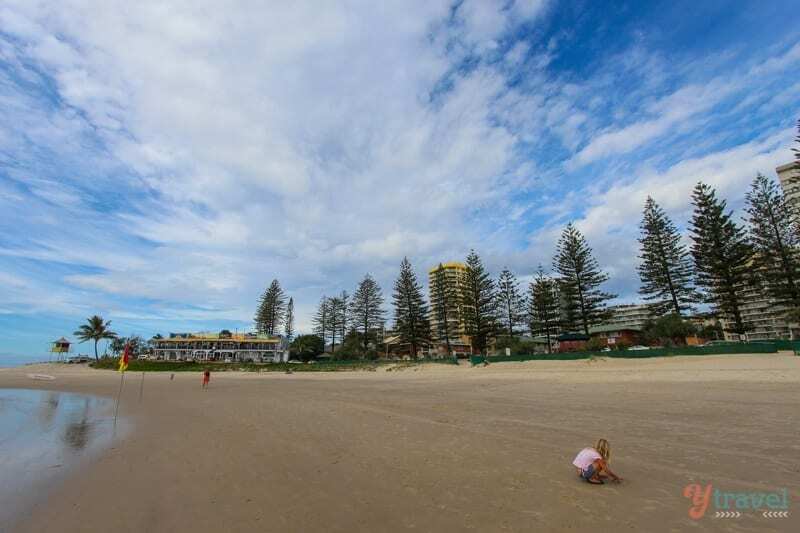 Once you’ve seen the surfers catch a few waves keep heading around the headland and shortly you’ll get to Rainbow Bay which is also a top spot for families. From here you have two options. 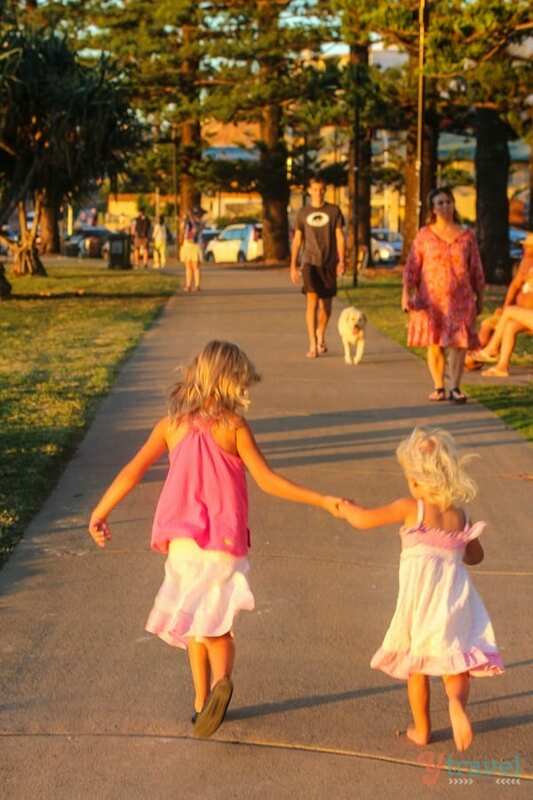 Walk on the sand up to Rainbow Bay Surf Club, or simply stay on the path. Along this section of pathway is a playground for the kiddies to enjoy whilst you take a seat on the grass and admire the beach. 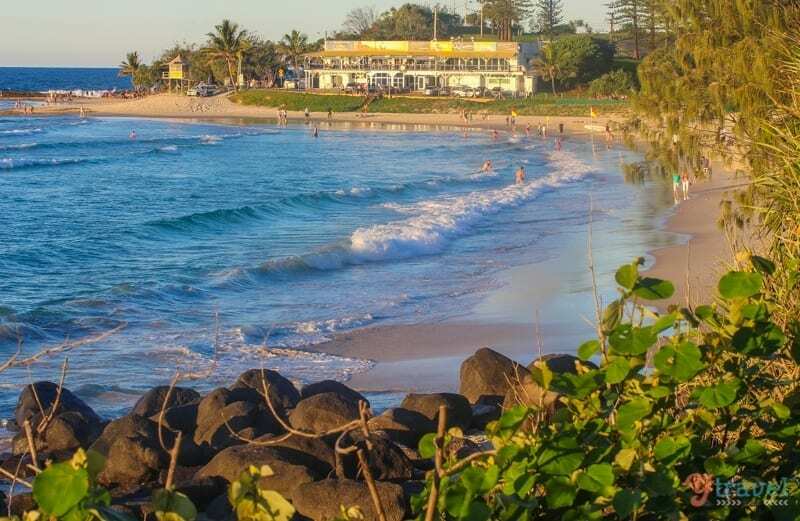 Continuing past the Surf Club you’ll come to Snapper Rocks, one of the most famous surf breaks in the world and home of the Quiksilver Pro surfing contest. 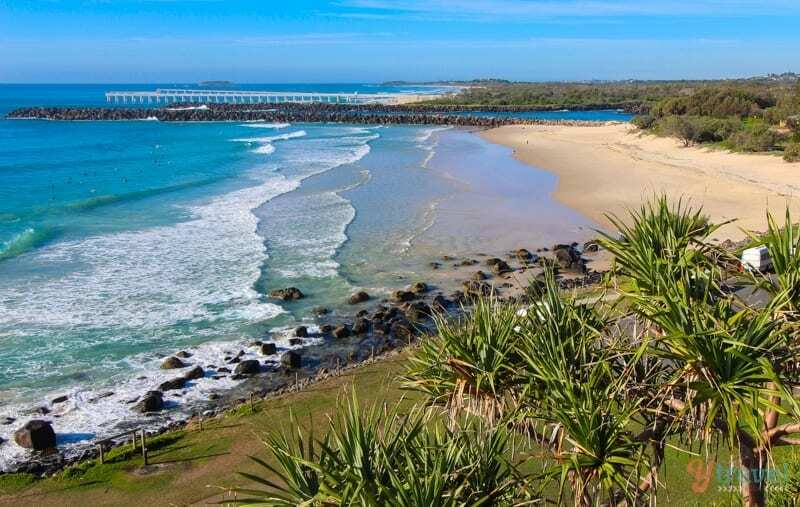 And once you climb the small hill up to Point Danger on the Queensland / NSW border you’ll be overlooking another well-known surfing beach, Duranbah. 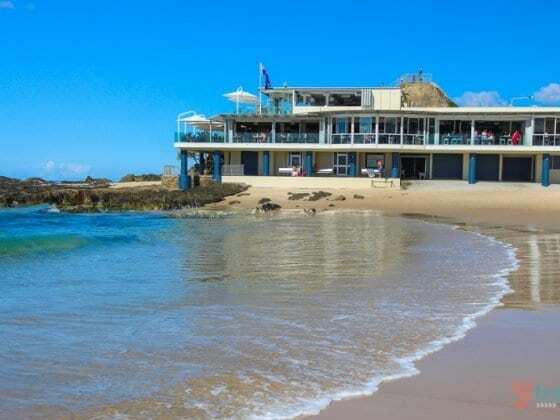 If you have done this walk in the afternoon, now is the perfect time to grab a cold drink or even dinner on the west facing deck at Rainbow Bay Surf Club. 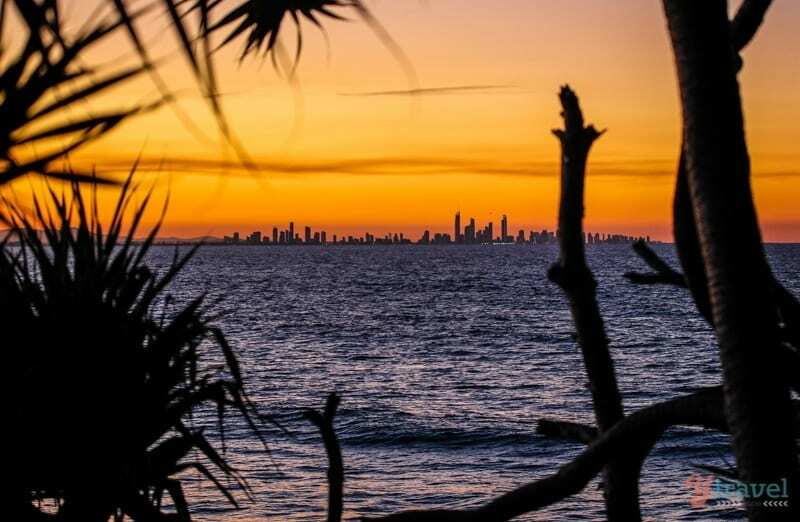 You can’t beat the views of the sun setting over the Gold Coast and the Surfers Paradise skyline from here! For a place to stay at Coolangatta we recommend the Mantra. 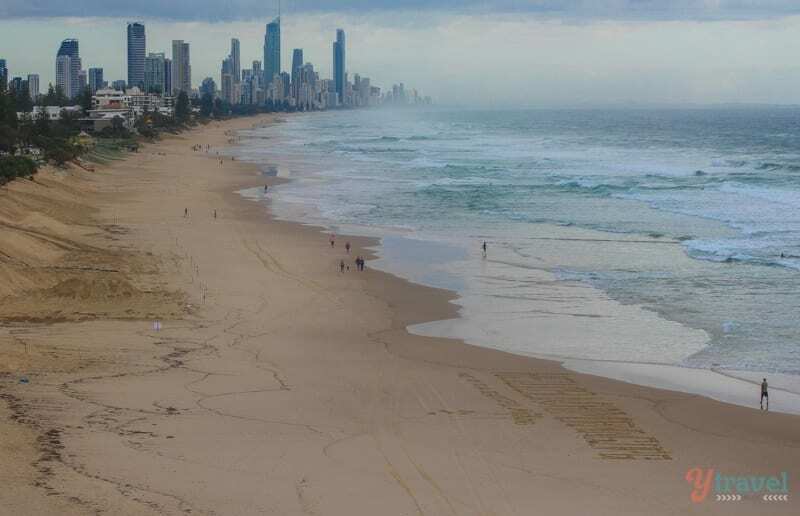 It has the best views on the Gold Coast! 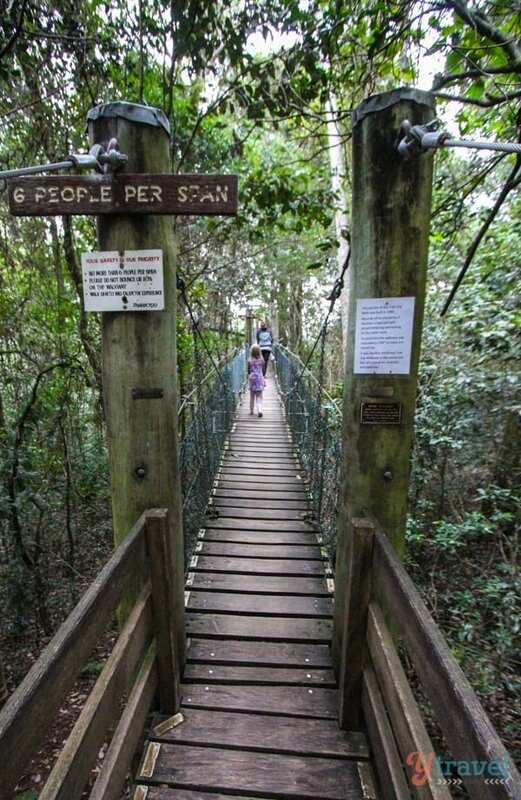 Fancy a bit of Rainforest bushwalking? 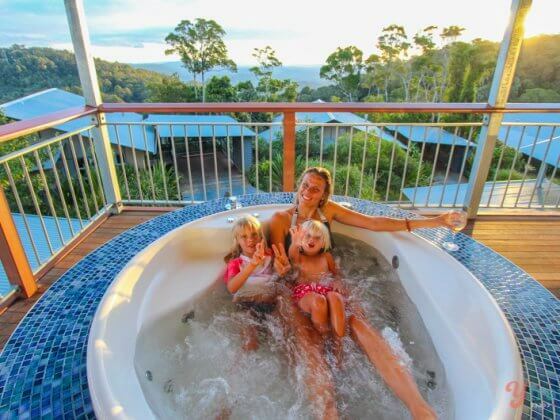 Lamington National Park is in the Gold Coast hinterland, and the place to stay up there is O’Reilly’s Rainforest Retreat. 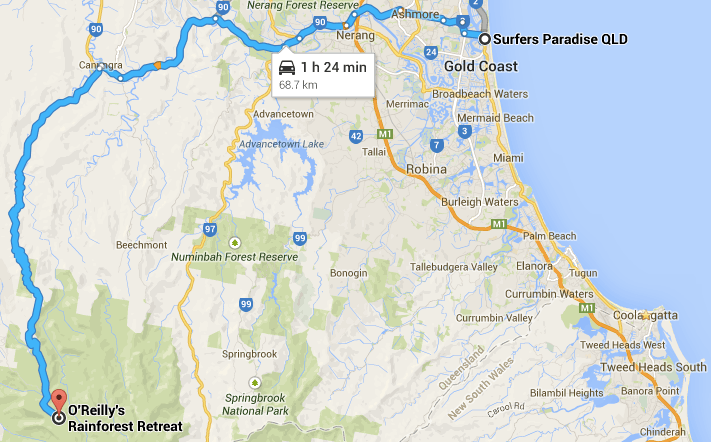 You could do a day trip, but it’s a windy road and a good 3 hour return trip from Surfers Paradise. Once you’re at O’Reilly’s, there are two short walks beginning near the entrance to O’Reilly’s Reception, The Booyong Walk and the Tree Top Walk. 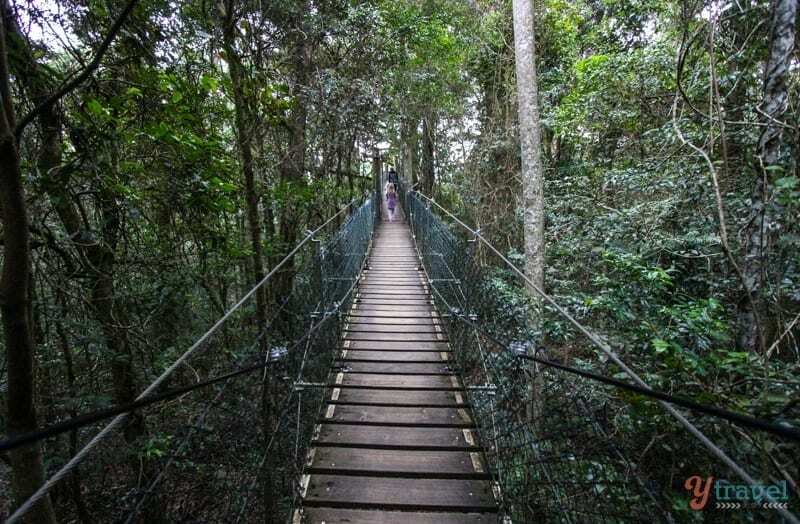 The Tree Top Walk consists of 9 suspension bridges up to 16 metres above ground allowing you to walk through a canopy of trees and at the end of one bridge is a ladder up a fig tree which leads to a deck 30 metres above ground. 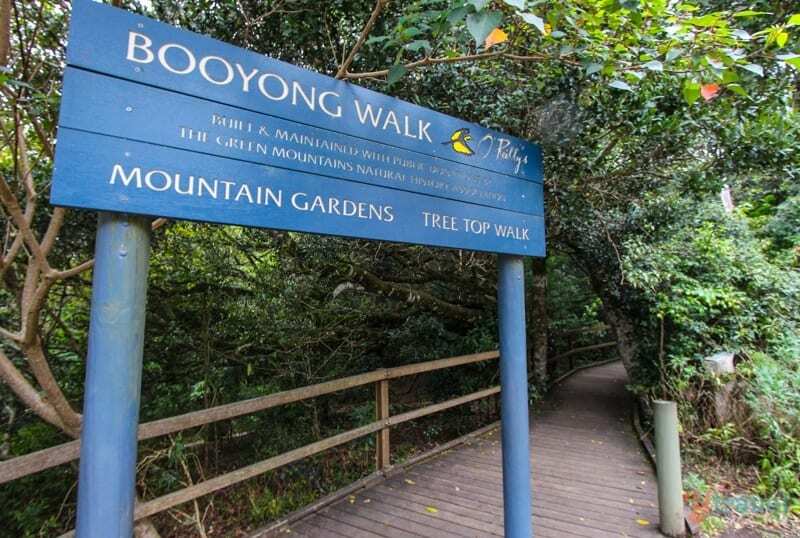 The Booyong Walk is easy to navigate and suitable for young kids in a stroller, and it’s popular for the bird lovers out there. 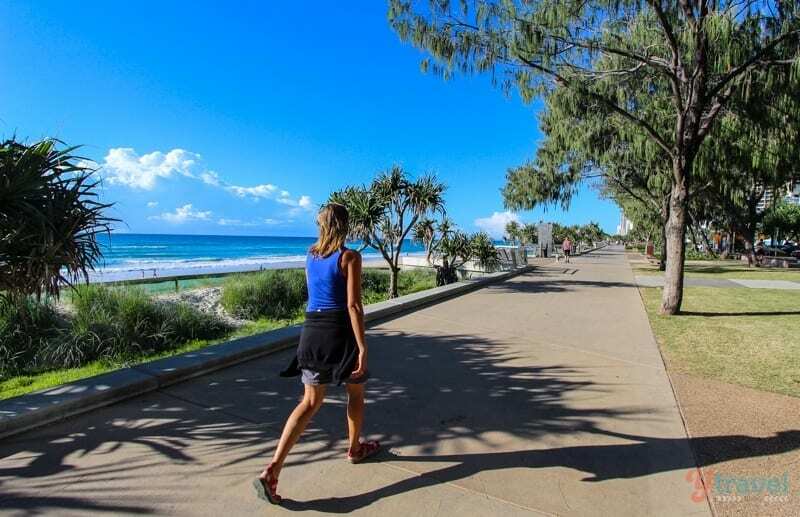 The Gold Coast Oceanway is a 36 kilometre network of pathways along the beaches of the Gold Coast, from Point Danger Lighthouse (Coolangatta) in the south to the Gold Coast Seaway (The Spit) in the north. 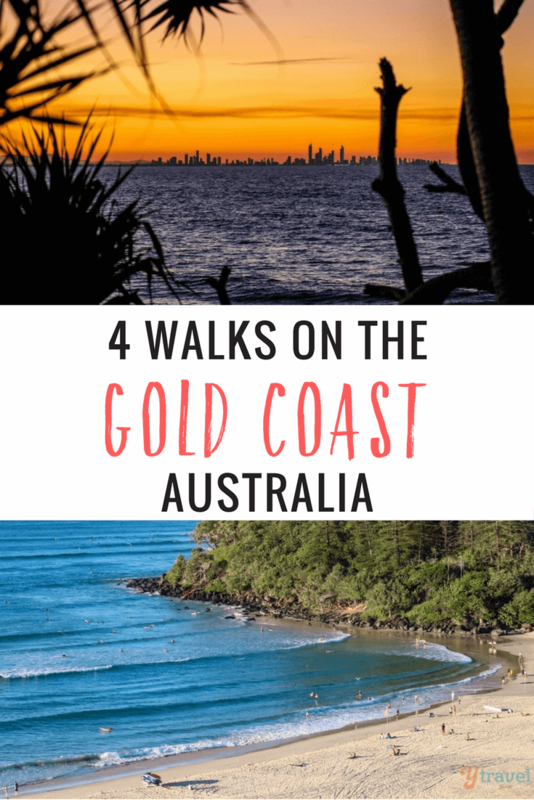 It’s an epic Gold Coast walk!! 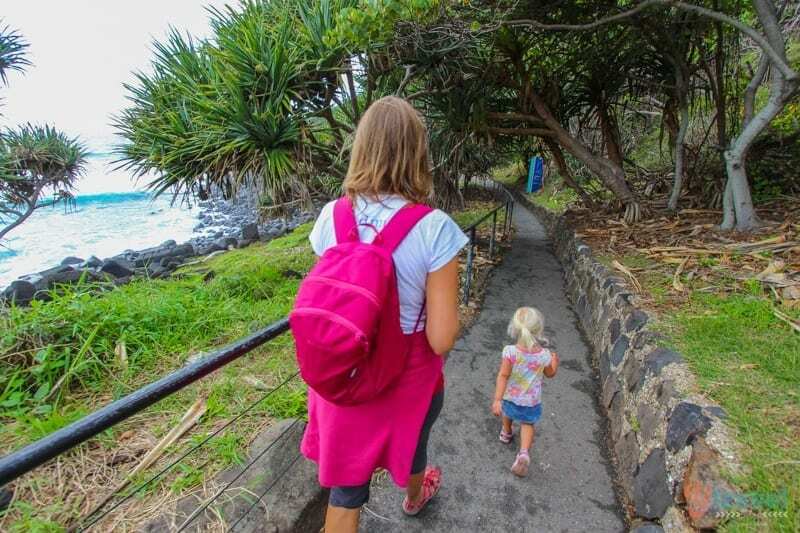 Once our kids are older it’s on our list to one day walk the entire length but on this recent visit we managed to walk a 10km section one-way from Burleigh Heads to Surfers Paradise which took us 2 hours with minimal stops. 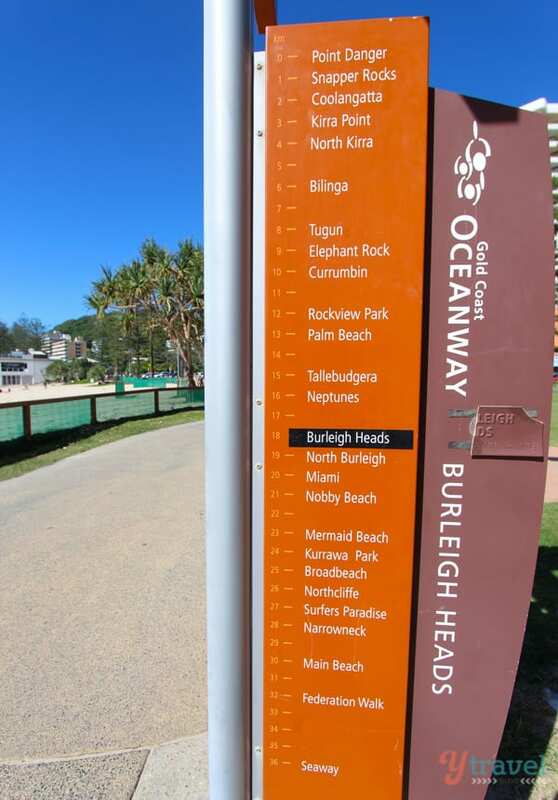 If you want to replicate our walk, grab yourself a juice from the kiosk underneath Burleigh Surf Club, pack some snacks and water in a day pack and off you go. 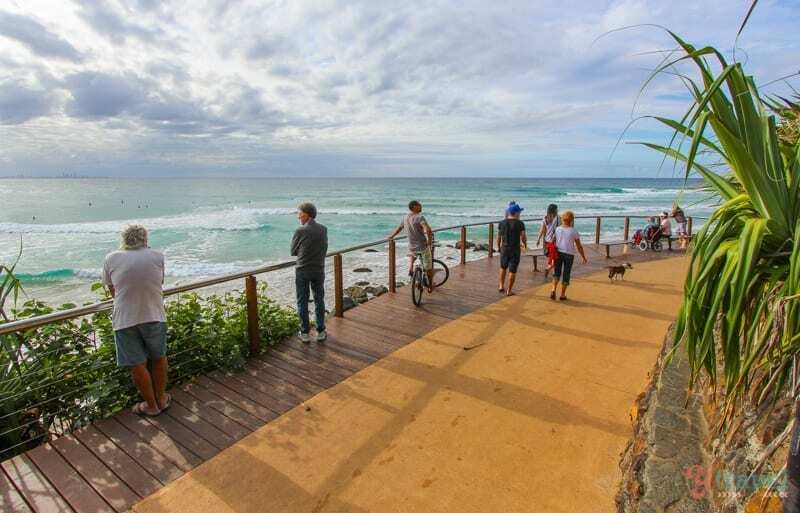 At the North Burleigh end you’ll climb a hill and some steps to a lookout over Surfers Paradise. 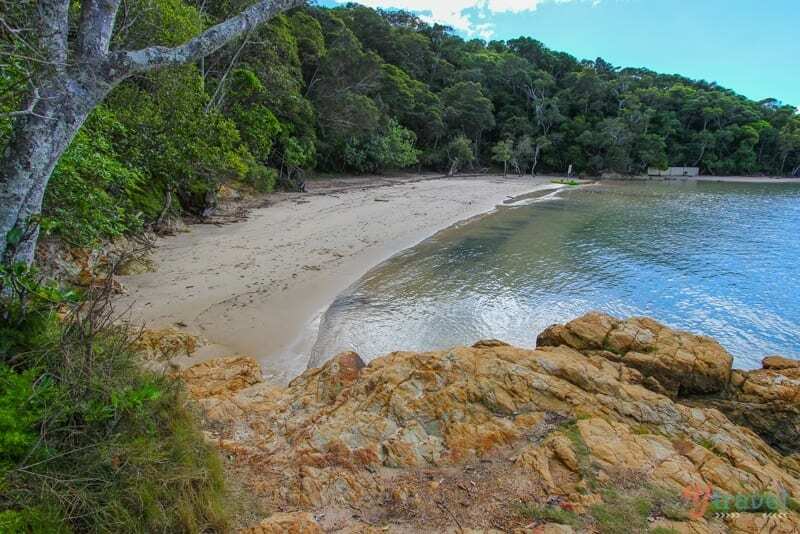 You might also want to bring your swimmers and towel for a dip along the way, and if you want a lunch or coffee break we recommend the BSKT Cafe in Nobby’s Beach. We did most of this walk on the pathway, but as we got closer to Surfers Paradise we did the last section on the beach. I read the title and then picked out the four walks I would recommend as a local – and got 3 out of 4 right! I didn’t realise the Gold Coast had officially linked all the coastal paths though, this might be a running challenge for me at some point. Thanks for the heads up! My other recommendation would be Springbrook National Park, but it is similar to Lamington for the casual observer. There’s one spectacular trail that winds down into a canyon, then passes BEHIND Purlingbrook Falls, before creeping back up out of the valley. Maybe the kids would have a rough time of it though! Echo Beach is a great little secret spot that isn’t too crowded even on the hottest summer day – well done for being “in” on that little bit of information! It’s one of the only spots in SE QLD I can think of where rainforest meets the beach, and you feel like you are much further north! Thanks for the tip on Springbok National Park. And good to hear we were on the money as far as best walks go from a locals perspective. That’s definitely cool about Echo Beach being “one of the only spots in SE QLD where rainforest meets the beach”. Nice tips. It must be a great adventure in Gold Coast! What a very nice place. I must visit it soon. 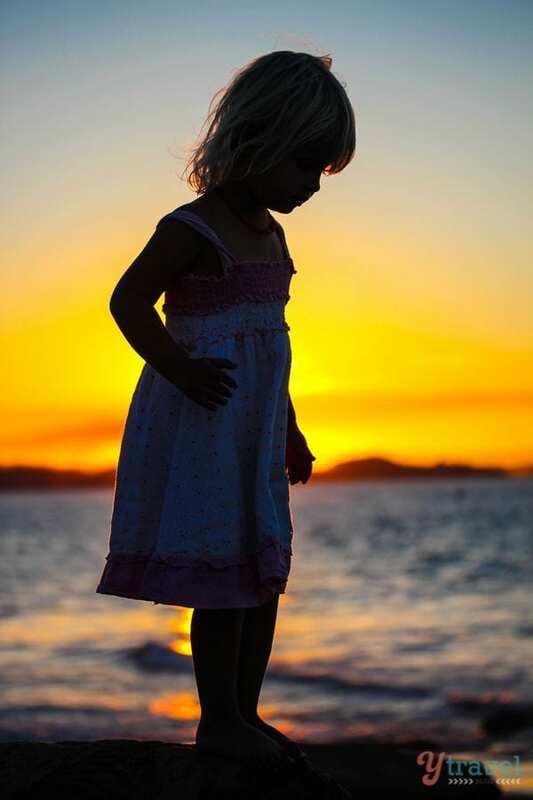 Absolutely beautiful photos guys, thanks for sharing! 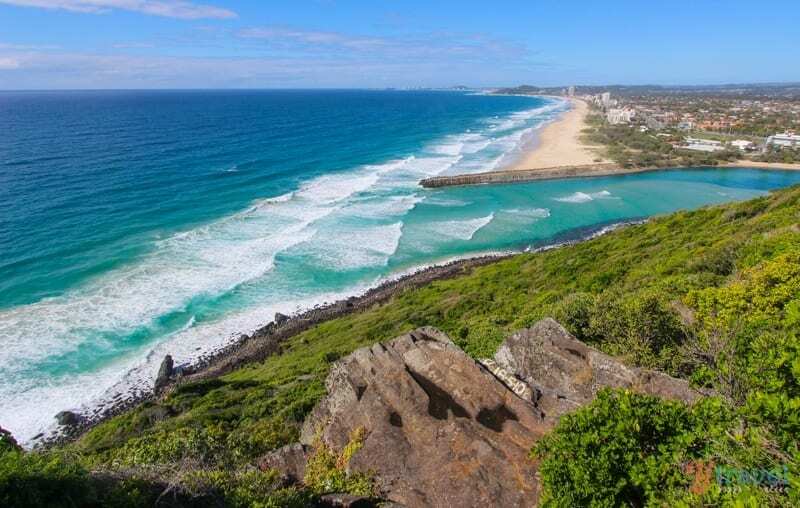 Burleighs Heads National Park is definitely the one to visit for me, if I’m ever in the area! Don’t miss Burleigh Adam. Actually, from Burleigh heading south is the best parts of the Goldy! My family and I love walking too! Being New Yorkers, it’s the only way we travel. These pictures were gorgeous. Can’t wait to go to Australia one day and use your tips! You would love the beaches on the southern part of the Gold Coast Brenda. WOW you guys had some fantastic weather during your adventures, and great skies too! Thanks for highlighting these walks. We spent some time in QLD in 2012 but didn’t manage to get to the Gold Coast. We had heard it was a bit of concrete jungle but this looks just beautiful! You guys captured some fantastic pics of my home town and some great walks. 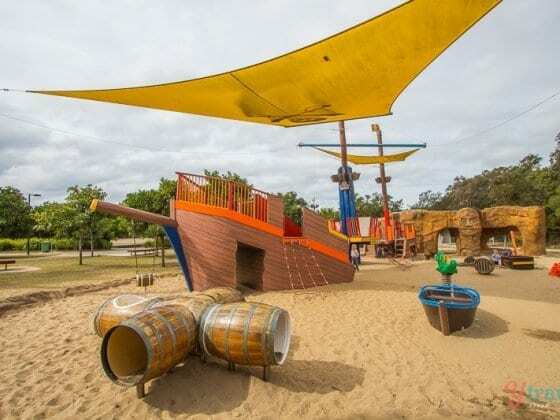 Another one (for next time) is along the Broadwater – the Broadwater Parklanks are great for the kids and then you can meander up to the Grand Hotel at Labrador, plenty of pelicans and there’s also some interesting sculptures as you head north. Look back south and you get the Surfers skyline and all the boats on the Broadwater. 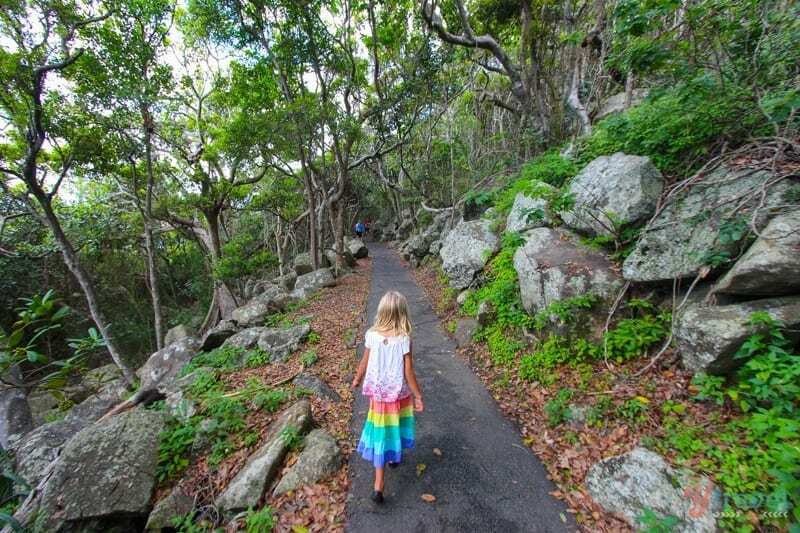 The Burleigh National Park walk is one of my favorites as is the Coolangatta to Point Danger walk. 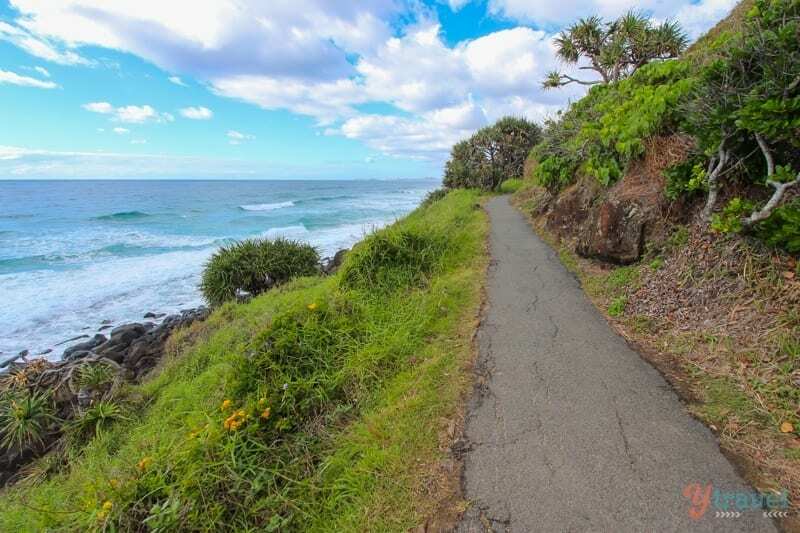 About a 20 minute drive south across the border into NSW there are great walking tracks from Kingscliffe to Cabarita along the beachfront. Great list- I’m glad I’ve found new trails I’d want to check out in the future. 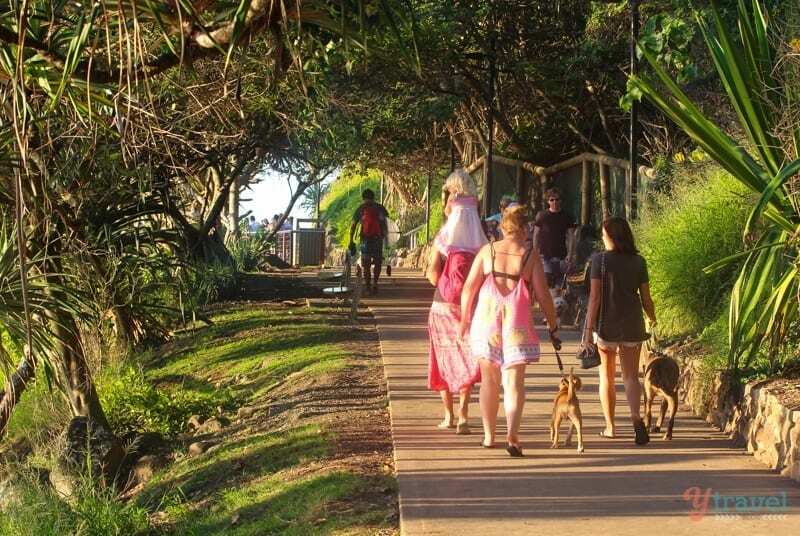 I went on the Coolangatta walk last September, with my two dogs who enjoyed the place immensely. Wow! 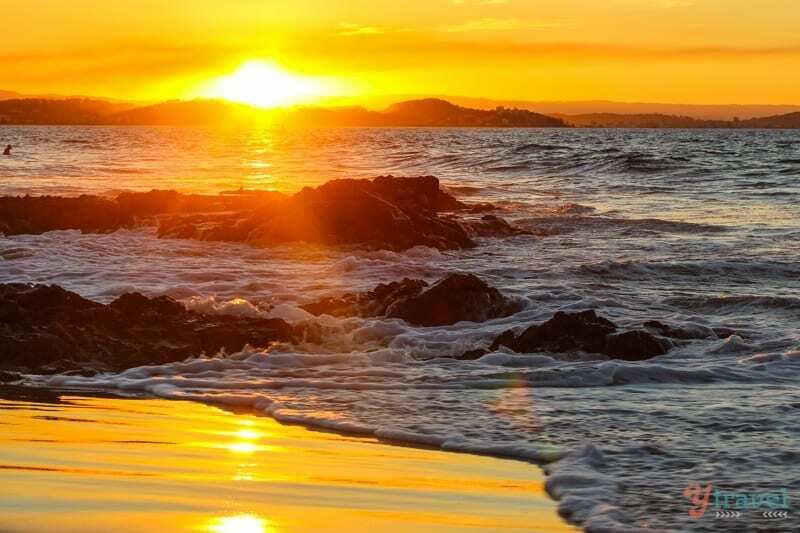 Coolangatta sounds like a great place to be. So many things to do. Friend of mine also said the same. I think they have great apartments like Oaks Calypso Plaza, where you can stay longer & explore more. Next on my list for sure! Great post Craig! Definitely on my bucket list when I visit Australia! Amazing photos and awesome tips for adventures! Thank you! 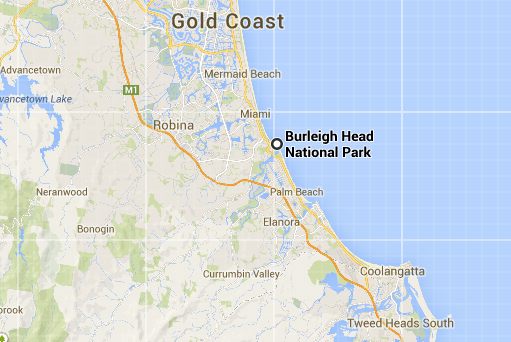 Could you pls tell me how much time the walk of Burleigh heads national park take? is it one day of half day trip?